How to Forgive Self Hypnosis Exercises are very effective mind power techniques for letting go of past hurts that hold you back from getting the most out of life. because it works at deep levels of mind. If how to forgive self hypnosis is done the right way, it is possible to train your mind to generalize the process, so you can even erase anger and resentment that are NOT in your conscious memory, without erasing the memory of those experiences. This is because in hypnosis we are able to access and work with the subconscious mind and essentially rewrite our own "programming." There are various techniques to utilize and discover how to forgive self hypnosis. In my experience I have found people find more success when guided through these exercises. Often when one works with self hypnosis to find forgiveness, it becomes easy to find yourself stuck "in the problem". In addition, it is easier to go much deeper when you are being guided by a trusted and soothing voice, rather than when your brain is working actively to guide you through the process. In other words, with self hypnosis (preferably guided) you can learn how to forgive and let go of the negative charge of memories that cause you pain, illness and discomfort, and still remember the lessons learned - both conscious and unconscious. For example, a child who grows up with an abusive parent may not consciously remember all the incidents that caused them pain, nevertheless the effects are there. They may feel undeserving and suffer from low self-esteem and harmful behaviors that are rooted deep within. 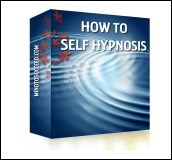 The following technique assumes you know and understand the basics of self-hypnosis such as entry, deepening, regression and exit methods. A simple ask and receive is recommended for situations where it is relatively easy to forgive someone. For instance, perhaps a co-worker said something that upset you. You know in your heart of hearts that they made a mistake and didn't mean it, but you still find yourself angry. Allow your consciousness to go behind the scenes and enter into that person, you want to forgive. See the situation play out from THEIR point of view. Allow the person you want to forgive to come forward and beg for your forgiveness. Recommended for situations that are more difficult. Staying consciously connected to this high perspective, give that you down there the gift of forgiveness and notice what a difference it makes in that you's life. See how differently things play out, with that you having that gift. Zoom down into that you and fully experience life with that gift. Consciously note what is different. If this problem has its root in more than one incident use time line integration to go through your entire time line.